kid’s ! Open your eyes today to the other 75% of the Earth’s surface. Children have to be only 8 years old to discover the underwater world of diving in a pool environment. We have special miniature equipment. Children under 8 years of age can make other activities such as snorkelling safari or other activities listed in the top of the page. 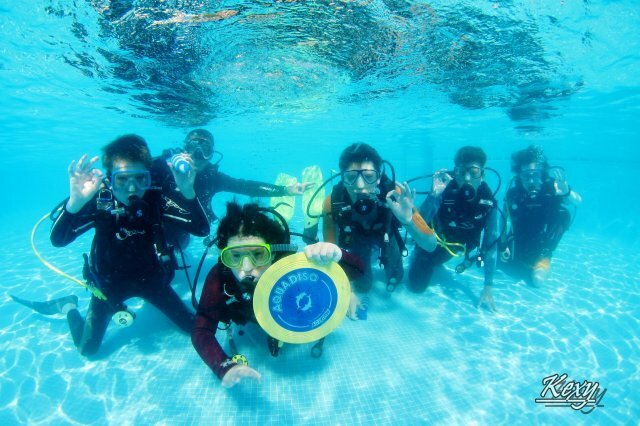 kids from as young as 8 years old can participate in this safety first introduction to diving. 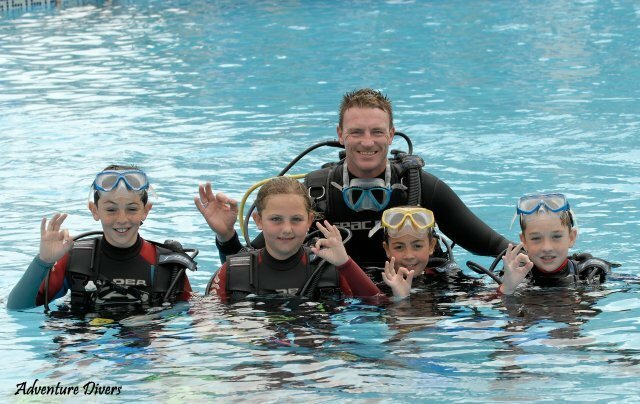 This 2- 2-½ hour course gives them a chance to experience the thrill & excitement of breathing underwater using scuba equipment in the safe confines of a pool environment which is conducted under the direct supervision of a PADI professional, whilst you the parents can take a couple of hours to relax knowing your children are in safe hands. It provides a fun & exciting opportunity for youngsters & is an excellent stepping-stone towards discovering the underwater world & building confidence. You don’t have to worry about the weather either as the pool at the Spa is heated so we can dive rain or shine! Once children have finished their first experience in scuba diving they receive a certificate. Before children can follow a full instructional course & become certified divers they have to be 12 years old in this part of Spain. like this dvd? why dont you ask our in house underwater photographer and videographer to make a photo/DVD package for you to keep your memories forever! Duration: Approximately 4 hours. For ages 12 years and above. When they are 12 years old children can follow the Padi Junior Programs “Padi Junior Scuba Diver” and/ or “Padi Open Water Diver”. Since spring 2003 Adventure Diver’s Club also offers a range of programs for advanced dive kids. If they already have a certificate on the beginner’s level, have some dive experience and are 12 years old they can take the Padi courses: “Junior Adventure Diver”, “Junior Advanced Open Water Diver” and “Junior Rescue Diver”. 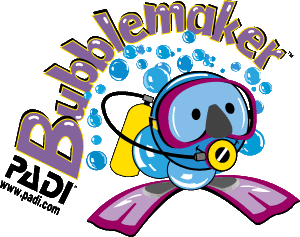 For children younger than 12 years an instructional course often stays within the range of a “Bubble maker” course. 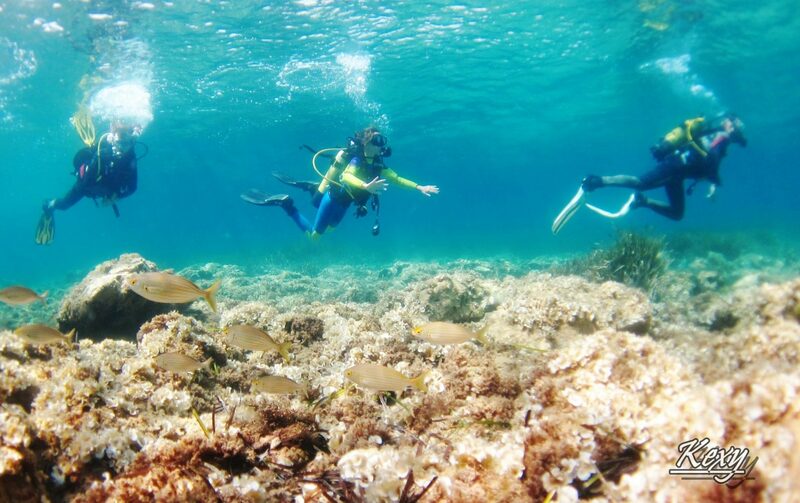 if your child does not want to try scuba diving then they will love our snorkeling safaris! Please see under activities our safari’s. If you have any questions about the children’s courses please contact us through our contacts page along with prices.